UNITED NATIONS, Oct 27 2017 (IPS) - What you eat doesn’t only affect your own health – it also affects our planet’s health. From deciding which food to buy, to how you store and prepare it, you are making decisions that have profound effect on your personal health, as well as the health of your environment. The good news is that food does not need to be a threat to sustainable development – it can be one of the solutions. Sustainable cooking is vital in the fight against climate change, and can contribute to Sustainable Development Goals, or SDGs, the world’s blueprint for tackling poverty, inequality, and climate change by 2030. More people need to understand the power they have behind food-related decisions, and make choices that respect their bodies and planet. The links between hunger and climate change are well documented. 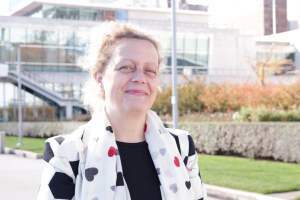 For example, climate change leads to more extreme weather events, such as droughts, floods and storms, all of which can destroy crops and critical infrastructure, according to the World Food Programme. Nearly 800 million people are undernourished, and one of the most devastating impacts of climate change is that it could drive that number up. This month, we marked World Food Day, which set a bold goal to end hunger worldwide. At the Sustainable Development Goals Fund (SDG Fund), we are working in 23 countries to achieve the SDGs, and food is often right at the center. Sustainable food practices are not only helping keep our bodies and the planet healthy, they are boosting local economies, reducing poverty and ensuring gender equality. 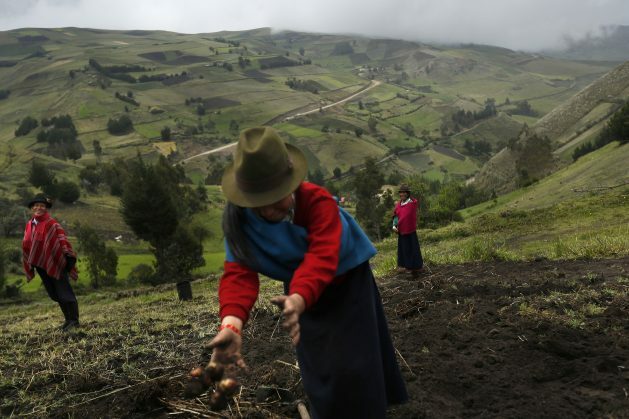 In Ecuador, for example, we worked to strengthen local food systems by encouraging practices that help with climate change adaptation, such as using organic fertilizers and diverse crops, and avoiding carbon emissions by limiting energy consumption and reducing water use. In Fiji, where more than 44 percent of youth are unemployed, we teamed up with UN agencies to create jobs by strengthening local organic agriculture. We know that organic systems are more resilient to climate change; they retain 20-40 percent more topsoil, and have better yields during droughts than conventional farms. In Sri Lanka, we collaborated with the local government and UN agencies to revise the school curriculum and educate schoolchildren, teachers, and others about nutrition, addressing a longstanding problem of malnutrition among Sri Lankan children. 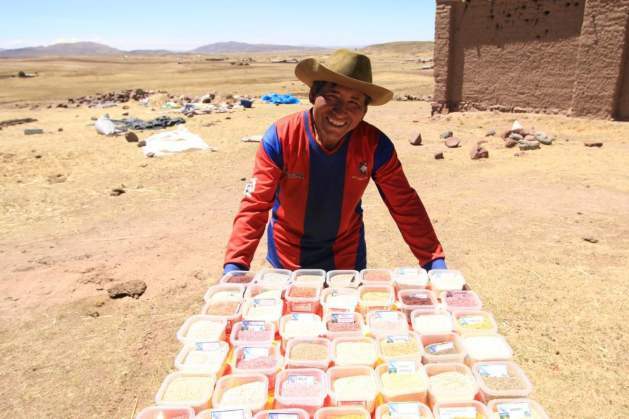 And in Peru, we assisted more than 4,200 quinoa producers with everything from negotiating market prices to setting up systems that allowed them to increase exports of these popular grains. This was particularly helpful for the female producers in rural areas, who account for 69 percent of the producers. To reduce energy consumption, don’t pre-heat your oven. Only open the door if you really need to, as each time you do that, the temperature significantly drops. Use cookware that retains heat well, such as that made of cast iron, ceramic or glass. Use water more efficiently by not letting the faucet run; you can wash your fruits and vegetables in a bowl of water instead. About a third of all food produced – or 1. 3 billion tons of food yearly – is wasted each year, according to the Food and Agriculture Organization of the United Nations. Help lower this number by planning your meals ahead and thinking about how you’ll use your leftovers. Get creative about how you reuse your water. For example, you can cool the water you used to boil your pasta, then water the plants with it. Plan seasonal menus. By using produce when it’s in season, you will not only make your meals more tasty, but save money. Avoid processed foods. They are not only bad for your health, they are bad for the environment. They tend to use a lot of packaging, which you should avoid buying, and reuse whenever possible. Get gardening! Plant herbs such as parsley, basil, and mint in your backyard, on your rooftop, or your windowsills. Shop local. By visiting local farmers’ markets, you can buy local products that don’t have to travel as far to reach you, while also supporting the local economy. Check product labels; food that is transported across the world often requires more additives and preservatives, and less healthy. Boil, grill and steam food instead of frying it to ensure healthy nutrients are preserved. Become aware of your CO2 emissions, also known as your carbon footprint. For example, a vegetable diet has a lower footprint than an animal one as livestock produce requires a lot of greenhouse gases and resources for feeding. Tools such as the Nature Conservancy’s carbon footprint estimate can teach you more about your carbon footprint, and allow you to make contributions to offset it.